Maruti Udyog Ltd. has launched its new vehicle Maruti Suzuki Grand Vitara in the Indian car market. 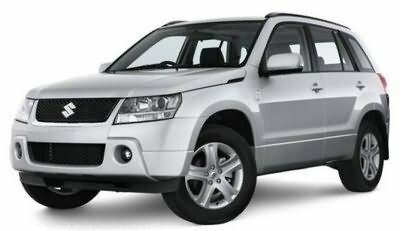 The Sports Utility Vehicle (SUV) has gained immense popularity in India and has caught the attention of various car lovers across the country. Maruti Suzuki Grand Vitara is available in various beautiful colours namely – cassis red pearl, pearl white, grove green pearl metallic, blush black metallic, cat’s eye blue metallic, silky silver metallic and azure cool beige metallic. The front view of the car is really masculine. The front comprises of multi-reflector halogen projector head lamps, honey-comb front grille with centrally placed SUZUKI logo in chrome finish, lower grille and front fog lamps above the body colour bumper. The car has got a smaller front wind screen. The body colour rear view mirrors (ORVMs) are electrically adjustable. The rear side comprises of one speed intermittent wiper and washer and rear window demister, rear fog lamps, body match tailgate handle, body colour bumper, high mounted stop lamp, spare tyre and vertically stacked tail lamps cluster. Maruti Suzuki Grand Vitara has a host of comfort features. The car has driver side seat height adjuster, both front seats have head restraints, front passenger assist grip, driver seat belt warning indicator. The car is ultra spacious and has various storage spaces like front and rear cup-holders (two each side), 2 front bottle holders, driver and passenger side seat back pockets, floor console with armrests and storage compartment, front and rear door trims with storage pockets, luggage area storage pockets, tailgate storage pockets, luggage room under floor compartment and luggage room shelf. The car has tilt and power steering wheel with mounted audio controls. Front and rear electric windows are auto drive down. Other comfort features include remote fuel lid opener, 2 accessories sockets in central console area and 1 at luggage area, 4 convenience hooks, steering lock, light-off key reminder, remote controlled door locks with hazard lamp answer back function and central door locking switch. The car comes with standard AC with climate control, pollen filter and the AC vents are located at the dash board. Maruti Suzuki Grand Vitara has various safety features. The car has both sides disc brakes along with ABS and EBD and brake assist. The car has SRS Dual front airbags, head impact protection structure, foot protection design for brake pedal, front seat belts, 3 point ELE rear seat belts, child proof rear door locks, immobiliser and dead locks. Other safety features include side impact beams, front and rear crumple zones and collapsible steering column. Maruti Suzuki Grand Vitara has 2736 cc DOHC V6 engine which produces a maximum power of 166 bhp at 6000 rpm and a maximum torque of 236 Nm at 4500 rpm. The engine has been equipped with multi-point fuel injection system. Maruti Grand Vitara 2.4 MT – Rs. 17,51,789. Maruti Grand Vitara 2.4. AT – Rs. 18,86,659. However, the price specified is indicative price only and reflects lowest approximate price which excludes tax, registration, insurance and cost of accessories.